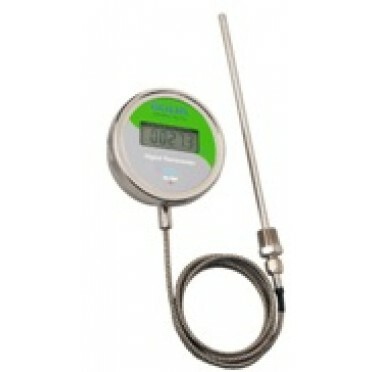 TOP" is first manufacturer of "DIGIDIAL" range of Digital Temperature Gauges / Digital Dial Thermometers. They are battery Operated, Accurate, Stable, Long Lasting, Low Coast, reliale and user friendly with instruments. This System Utilizes "NANOWATT" Technology and latest circuit for high grade of stability, noise immunity, repetability, and years. The resolution is 0.1*C from (-) 199.9 to (+) 199.9 and it automatically changes to 1oC above that,.with 2 meter long capilliary,12 inch log stem of 8 mm Diameter. When Air or Nitrogen is made to flow through a chamber containing Aluminum Oxide Powder, it sets the..